A staunch advocate of natural wine, Isabelle Legeron MW founded Raw Wine in 2012, which has become the world’s largest community of low-intervention organic, biodynamic and natural wine producers. Featuring annual fairs in London, Berlin, New York, Los Angeles and Montréal, Raw Wine is leading a global charge for low-intervention wines. For Legeron, the world’s best wines are natural, and that is all she personally drinks, she says. But while Legeron’s vinous path could be considered unconventional, her career began classically. Having completed her WSET Diploma in 2003, Legeron went on to become a Master of Wine in 2009, and remains France’s only female MW. She won the Madame Bollinger award for Excellence in Tasting and the Villa Maria award for Viticulture following her MW studies, and in 2016 she was awarded the WSET’s first Outstanding Alumni Award, voted for by WSET Diploma graduates. 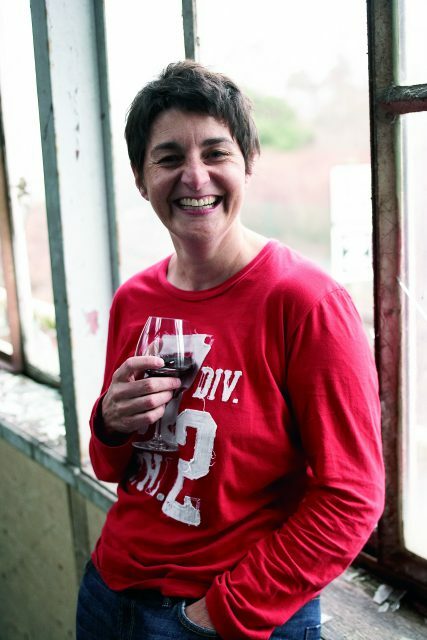 Since becoming an MW, and armed with a newfound platform, Legeron has made it her mission to raise the profile of natural wines and increase consumer awareness of sulphites in wine, while boosting routes to market for producers of wines that are made using natural farming methods and low-intervention techniques. Her first book, Natural Wine: An introduction to organic and biodynamic wines made naturally, was shortlisted for the Fortnum & Mason Best Drinks Book, as well as the Louis Roederer and André Simon wine writing awards. Initially considered a “bit of a misfit” by her industry, Legeron’s work in wine is now internationally acclaimed, making her an influential force for natural wine. Currently, she consults on the wine list at Bibendum Restaurant & Oyster Bar in Kensington), whose kitchen is managed by chef Claude Bosi, of the former two-Michelin starred Hibiscus in Mayfair, whose wine list was also managed by Legeron. She also oversees the lists at Borough Market’s Elliot’s, and The Richmond in Hackney. Most recently, she has been a driving force in the opening of the seafood-focused Neptune, on Russell Square, curating its wine list.